It is said that information is power and social media is a powerful tool to share information. The communication systems have changed drastically with the use of information technology in every sphere of life. We are seeing that digital and mobile devices are occupying a great place in our day to day works. The digital devices have invaded our lives in an unimaginable way and numerous people are using the information technology and social media for various purposes. With the social media and mobile devices in their hands, people are able to connect with each other at anytime and anywhere. That is the reason social media has become an integral element of branding and businesses can optimally utilize the social media for their business growth by hiring the expert services of branding consultants. Why has social media become so popular? b.To support a cause or issue. c.To define themselves by building an image. d.To stay in touch with various people and nurture their personal and professional relationships. e.To get the feeling of being involved by participating in discussions etc. We all know social media is influencing our lives in a great way, but let’s understand how it is impacting the business world. Corporate branding services professionals are saying that these days it is hard to find a business that is not taking the advantage of social media. 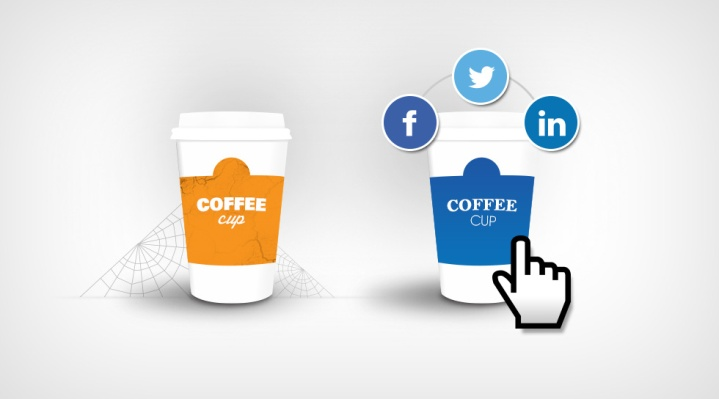 Every organization is trying hard to reach its customers and this task is getting easier, thanks to the social media. Many companies are recognizing the importance of social media and utilizing the services of branding firms to reach the customers, build a relationship with them and improve revenues through either all or any of the social media platforms. Per the branding consultants, businesses can benefit through the social media as it facilitates generating insights, targeting the right audience, and increasing demand for products for both traditional offline businesses and the new-age online businesses. It has to be remembered that like everything else, social media too may have some negative impacts due to low shares of a product or content. Hence, social media must be handled with caution with the help of experts in corporate branding services like Accuprosys.